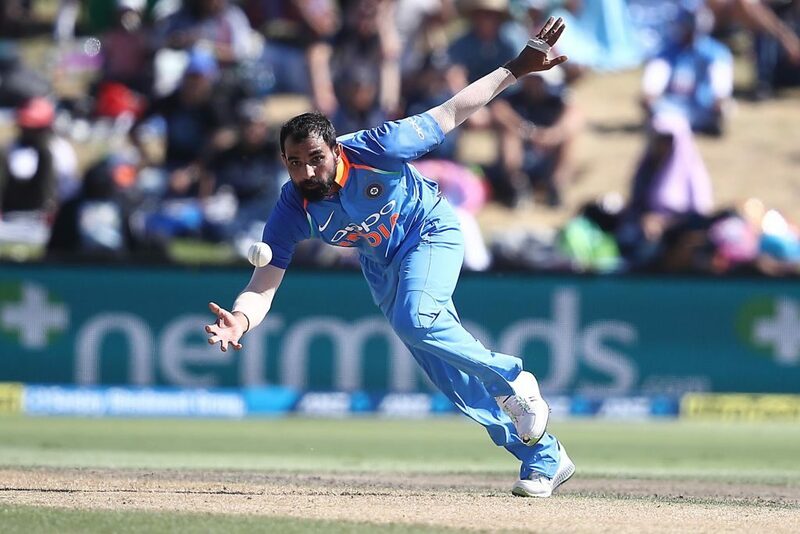 Mohammed Shami’s recent performances in ODI’s has shown the wealth of India’s pace-bowling arsenal, and his 3-41 in Mount Maunganui makes him Monday’s Turbo Bowler, with many now arguing for his inclusion in India’s Cricket World Cup team, writes ANITHA MADIKIZELA. New Zealand put on a better display with the bat during the third ODI against India, thanks to a brilliant 93 off 106 balls (9×4) from Ross Taylor, after they made another poor start to their innings. With the Black Caps floundering at 59-3 in the 17th over, his measured fourth-wicket partnership of 119 runs alongside Tom Latham (51 off 64 balls, one four, one six) looked to be the foundation of a big total, but Latham’s dismissal led to another collapse that saw the home team reach their highest score of 243 in the series. Unfortunately, they were bowled out with an over to spare. Shami was the pick of India’s destructive bowling attack as he snapped up 3-41 in nine overs with a clinical display of pace bowling. He began the day by sending the struggling opener Colin Munro (7 off 9 balls, 1×4) back to the pavilion in just the second over. He then accounted for the vital wicket of Taylor just as he was looking to tee off and score big, before getting rid of Ish Sodhi at the back end of the innings. The in-form Mohammed Shami with the early strike! The spell saw him earn his second Player of the Match award in as many games. 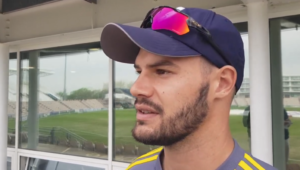 His current red-hot form in ODI cricket has many pundits and fans alike agreeing on his inclusion in the Indian pace attack during the upcoming Cricket World Cup in England and Wales, but the debate breaks down when the question is asked of who then misses out. Jasprit Bumrah, Bhuvneshwar Kumar, Yuzvendra Chahal and Kuldeep Yadav are all fighting alongside Shami for a spot in the bowling attack, and with Hardik Pandya’s (2-45 in 10 overs) seamless return to the team, we can only wait and see how India will play their hand in May. This hard-earned win in the third ODI sees India clinch the series with an unassailable 3-0 lead over New Zealand, two matches remaining in the series. The visitors will take the opportunity to rest captain Virat Kohli for the rest of the series and give some experience to the up-and-coming youngsters in the Indian setup when they go to Hamilton on Thursday for the fourth ODI, with the Blackcaps looking to restore some pride with a victory.